The rise of influencer agencies reflects the acceleration of social media influencers and the exponential growth of this exciting and maturing market. It also reflects the appetite of brands, products and service providers looking to tap into the power of influencers. Brands are now prioritising influencer marketing as a vital part of their marketing mix, and this is where influencer agencies have become an intrinsic conduit between brands and influencers. As the reach and effect of social media influencers grow, owing to their expanding fanbase and the integrity of their relationship with fans, their ability to transform the fortunes of brands is undisputed. Product placement and the modelling of everything from fashion, cosmetics and music to food, drink, cars and guitars are all featured in influencer content that provides a powerful, highly effective and credible marketing direction for brands. And as brands and manufacturers look to access influencers that synergise with their audience demographic, agencies have become a key ally to help develop subliminal content marketing campaigns and connect brands with the right type of influencer. Whilst OnlyFans has become a major force in the influencer market, enabling content creators to connect with fans on a higher value basis by attracting subscribers from their loyal fanbase, our platform also provides a substantial opportunity for agencies, agents and influencer management companies. With content creators delivering exclusive content on OnlyFans, adding value to what they do on their mainstream platforms, typically 1%-5% of their audiences are gravitating to their OnlyFans account and paying for their content, at a subscription rate determined by the influencer. It also provides a differential to free-to-view platforms by encouraging a different kind of connection via direct messaging and requests for personalised content and 1-on-1 interaction. This model has proved highly effective. In just two and a half years, OnlyFans has amassed 50,000 content creators globally and it has paid out in excess of $100m to them in subscriber income. Indeed many boost their income via our referral programme too, receiving 5% of incomes from new creators they introduce to OnlyFans. This is additional to the incomes they receive from brand deals and ambassadorships. With agencies playing a pivotal role through their connections with influencers and the handling of their commercial interests via brand campaigns, ambassadorships and campaign management services, the opportunity for agencies to gain by association with OnlyFans returns two primary benefits. First, it provides a new opportunity for the creators they manage to monetise their content and make substantial sums from subscriber income. Next, it provides a significant final incentive for the agency to boost their own income by referring their network of influencers. To appreciate how this works, you first need to understand the OnlyFans model. Content creators coming directly to OnlyFans receive 80% of their subscriber income and OnlyFans receives 20%. If a content creator comes to OnlyFans via a referral link, the new content creator still receives 80% of their income, OnlyFans receives 15% and the referrer 5%. In every case, the creator always receives 80%. Of course, you can remodel this based on your influencer community size, the predicted conversion of your community to OnlyFans, the number of fans they have and the subscription rate they are likely to levy. Why not give us a call or email us to discuss the potential of OnlyFans to your agency business and influencer communities? Engaging with us and making OnlyFans a part of your agency proposition adds value to your creators and it can make a significant impact on agency incomes too. In summary, OnlyFans provides a lucrative opportunity for creators and agencies. It also, as a matter of default, provides agencies with additional income opportunities to assist creators on their subscriber content and campaigns for brands. Ensuring subscriber numbers grow and are retained comes down to ensuring the content experience is enhanced for paying fans, who are really at the heart of this. It’s not simply a matter of expecting fans to pay for what they already get on Instagram, or other social platforms, for free. 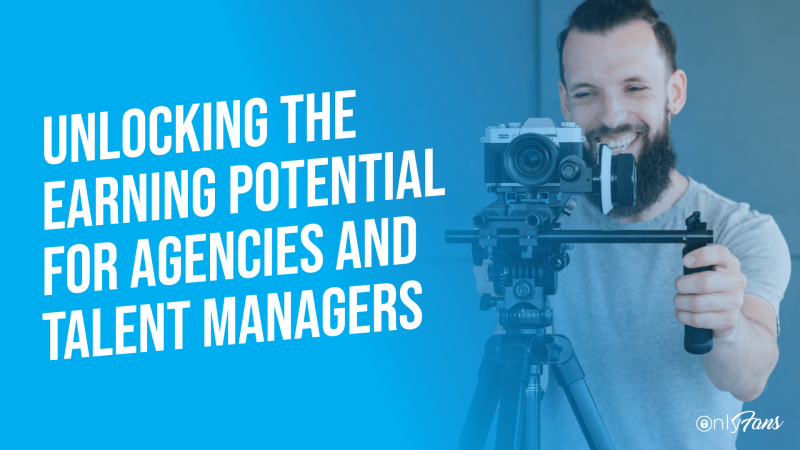 Getting this right depends of the expertise of agents to manage their creator communities and, in doing so, it provides a longterm income stream for creators and agency businesses.